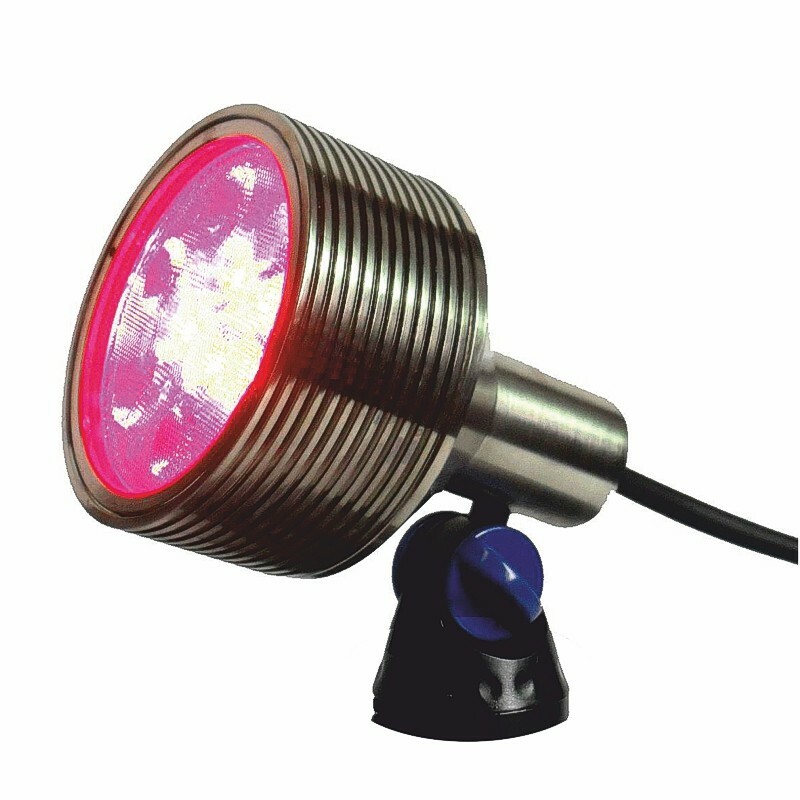 Luxes RGB is an adjustable led spotlight with a nickel-plated brass body and nine 2w RGB led’s providing light output equivalent to a 50w halogen lamp with colour filter. It has a clear lens and provides a focused 30 degree beam for uplighting trees and focal points, or for use as an underwater spotlight in fountains and waterfalls. 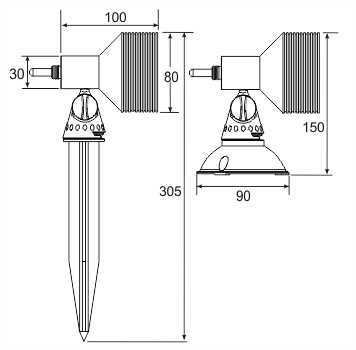 The ribbed body is designed to accept an optional clip-on glare shield and the adjustable polycarbonate knuckle joint fits a range of mounting options including a spike, weighted base, extension pole and a tube bracket to allow mounting on fountain head pipes: mount required must be ordered separately. For use with the Patilo range of Plug&Play transformers, connectors, extension cables and junction boxes.